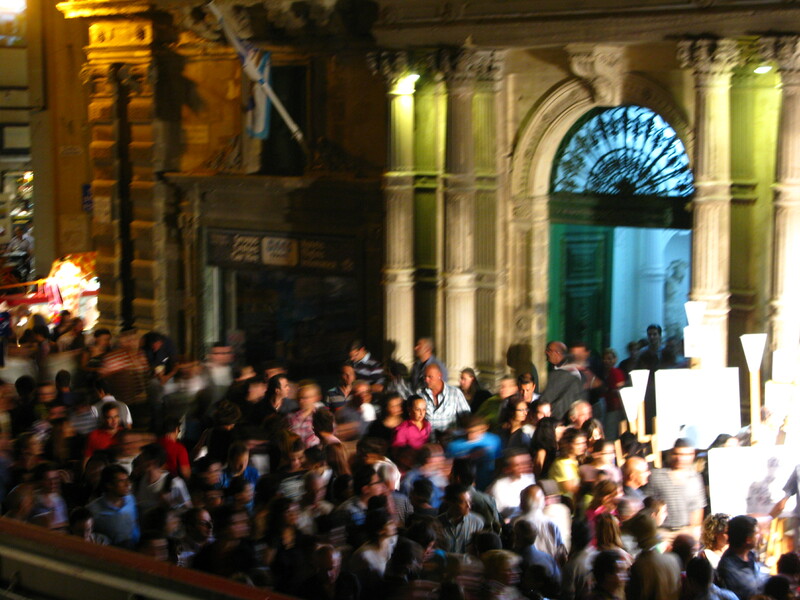 This year, 2010, saw the fifth annual Notte Bianca in the Maltese city of Valletta. 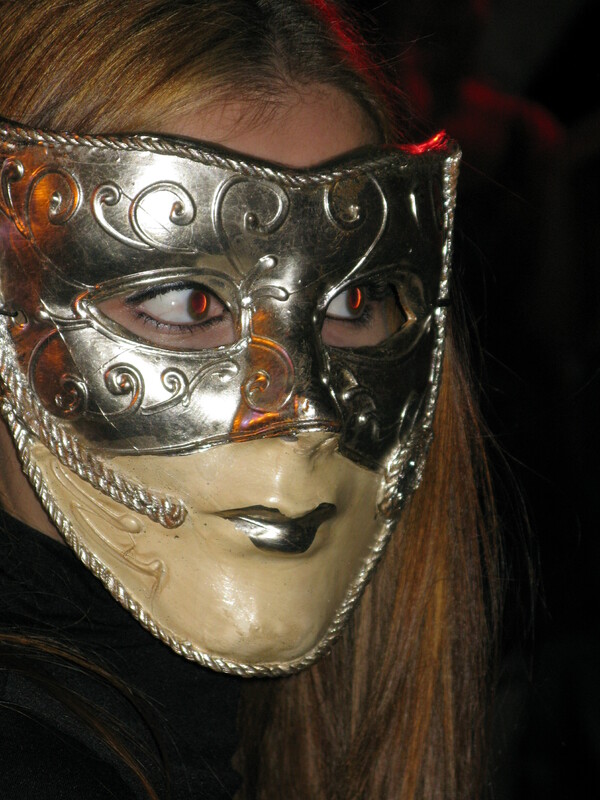 The inspiration behind this night of cultural events lies in the concept of openness, opening the city for all to see. Tourists and locals alike have their well-trodden routes through the city and many side streets and off-beat venues tend to be overlooked. 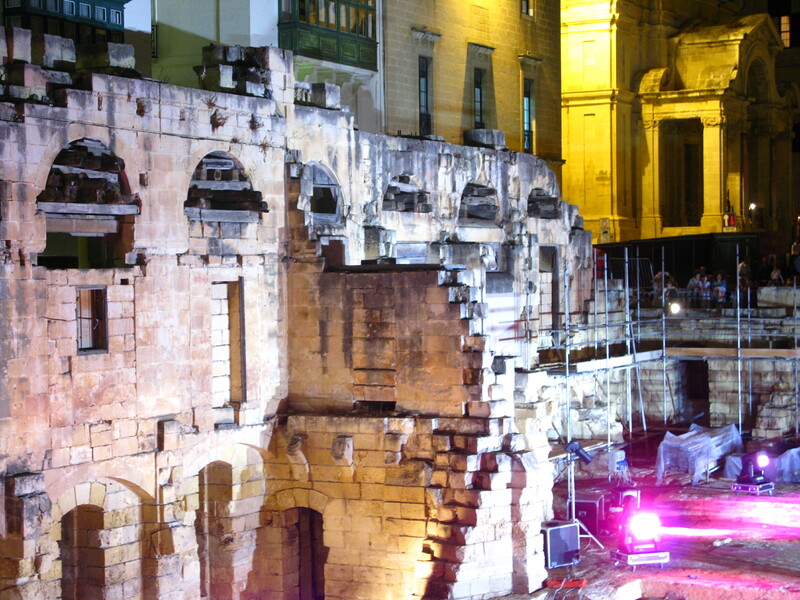 Valletta is a world heritage site, one that is being restored to shades of former glory. Churches, auberges, palaces and historical buildings are being restored; streets are being repaved. On this night, every year, the streets are turned into stages. Lights installed for 24 hours cast new shadows. Traders and crafters show their wares. Talent abounds. Whether you’re after some classical music, a bit of vaudeville, or some modern heart-pounding sounds, this extravaganza of visual and performing arts is something to behold. cram the main streets, pouring in from the bus terminus through the city gates. If you stop and concentrate you can hear all sorts of music, in stereo. GP and I had come prepared. We’d poured over the map of the city and the events listing and had our route marked out. We figured if we started by 7pm, we could be done with all we had to see and do by 2 the following morning. It seemed so well organised. A map of the city with numbered venues. A colour-coded programme with details of events. But what was missing was the key link between the two. 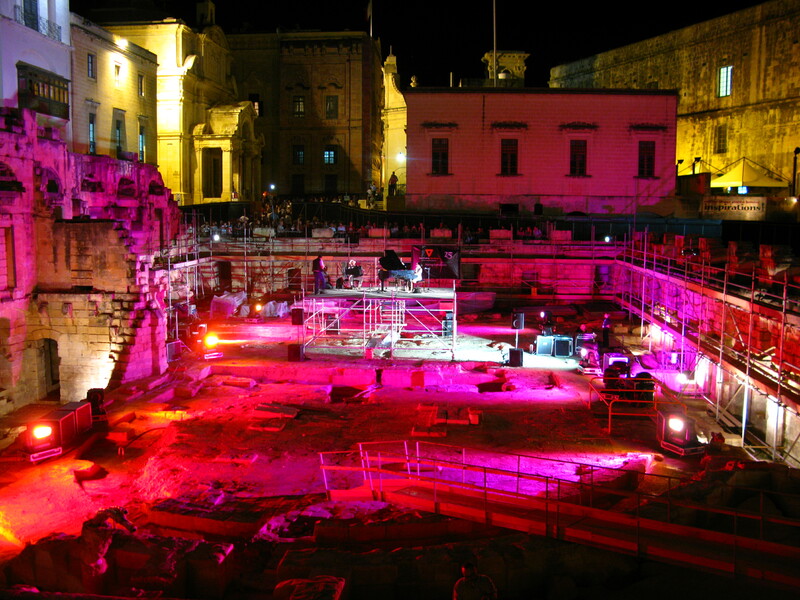 Okay, so if you’ve know your Malta, you might immeditely recognise venue No. 57 but for us foreigners, without the decoding number, we couldn’t tell if we’d just missed the performance or we were simply in the wrong place. We walked for miles to hear the Johnny Cash Tribute Band (my call) and when we got there, Johnny had long since left. But ne’er a mention of the time in the programme. 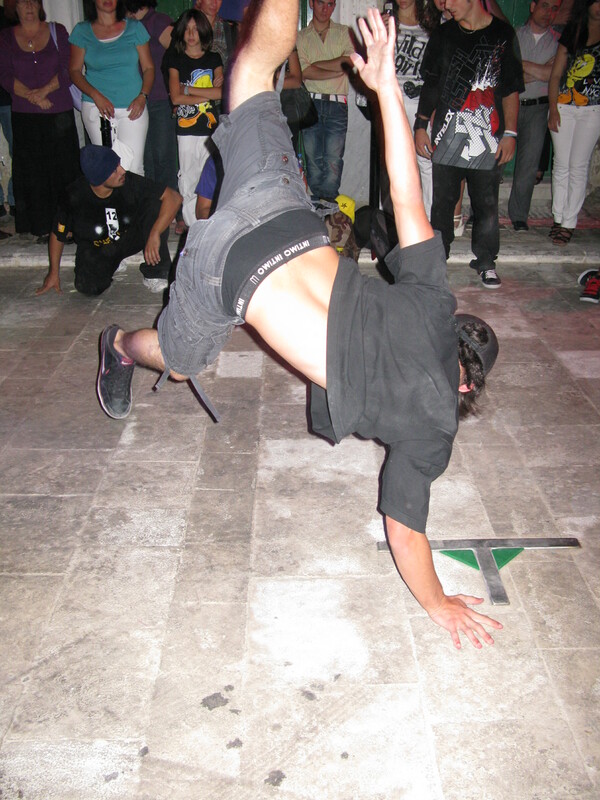 Still, wending our way through the back streets, we came accross some fantastic dance recitals and I discoverd urban dance for the first time. It seemed as if every street we turned into had something new to see. What fascinated me most, though, was that although I’d wandered the streets of Valletta before, I’d never really appreciated how hilly the city is. An older sister of San Francisco. And, as GP so rightly pointed out, so much travelling downhill only meant that at some stage, we’d have to climb back up again. And she was right. I counted 217 steps… every one of them. Notte Bianca or Nuits Blanches or White Nights or whatever you’d like to call it, can apparently be traced back to St Petersburg in Russia where during the long summer days and seemingly endless twilight (sounds so much like Alaska and have I ever been missing that place lately…) the city would celebrate these ‘white nights’. Other cities – Brussels, Madrid, Paris, Riga, and Amsterdam – have followed suit. It gets people off their couches, away from their TVs and out into the night. Churches host gospel rock concerts; museums give guided tours free of charge; even the ghosts cooperate with hourly walks through haunted streets and alleyways. Just as golden hour is nature’s way of using light to its best advantage, the lighting technicians in Valletta did well. Very well. And for me, apart from the dancing, this was probably the most fascinating part of the night. We didn’t get to half of what we’d planned. We didn’t pace ourselves, as the organisers had suggested. We didn’t even wear the customary white. 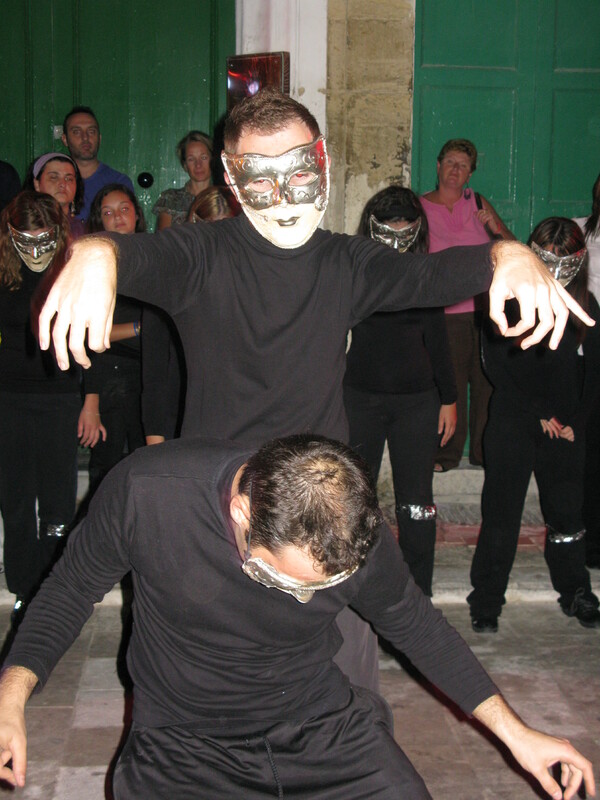 But Valletta isn’t going anywhere – and there’ s always next year.